Did you have it out with him again? Did you make it out of NOLA alive? HAPPY 4TH of July SE!! thanks bro. I know he appreciates it big time. Sorry it took me so long to reply, I actually got sent back to work on light duty... not sure if that's a good thing or not yet. Hope all is well, take care buddy! 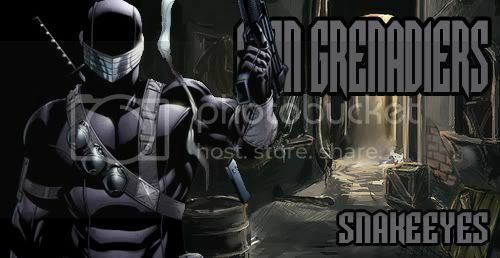 Even though SNAKE EYES can't talk his typing speaks the truth.